You wear your Garmin while walking. 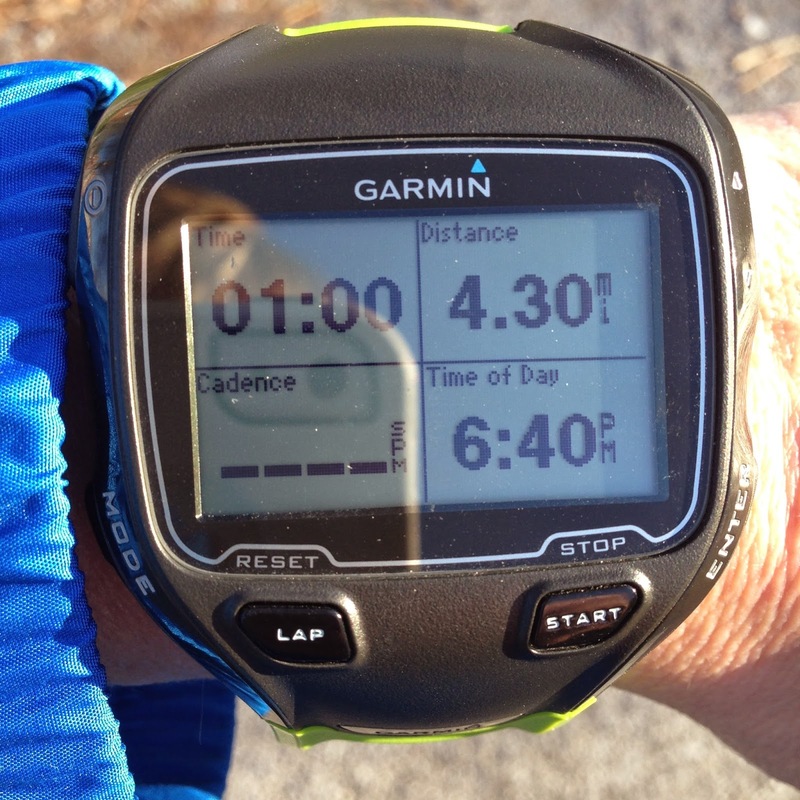 You stop your Garmin for all non-walking (stoplights, dog peeing, etc). You see you might just make 3.5 miles in an hour so you push for a good finishing kick (at a walk) and you get it. You see a 14 minute first mile and start calculating how far you might get in an hour. Then you realize it was not a negative split. Ugh! New Goal! Negative split! You spot the fastest walker on the indoor track and get in "race mode" to catch her. It takes you three laps to do so then you thank her for setting the walking bar high. Conversation follows :) and it's so nice to get to know her. While chatting and walking, you are discretely using the Garmin to count laps knowing it's 9 to a mile. You start thinking about how funny it would be to have "tempo" and "threshold" walk intervals then think maybe that is not such a crazy idea. You feel satisfaction having walked a marathon (26.2 miles) in 7 days, even though you remember back a year when you ran a marathon in Boston in 3:33. Goals and accomplishments are relative to where you are and 2+ weeks post surgery, you'll take it. I prefer speed, but I choose happiness, fun, and a little healthy self-competition at any speed. This walking stuff is not all that bad, if you make a bit of a game out of it! The dog sure likes it! 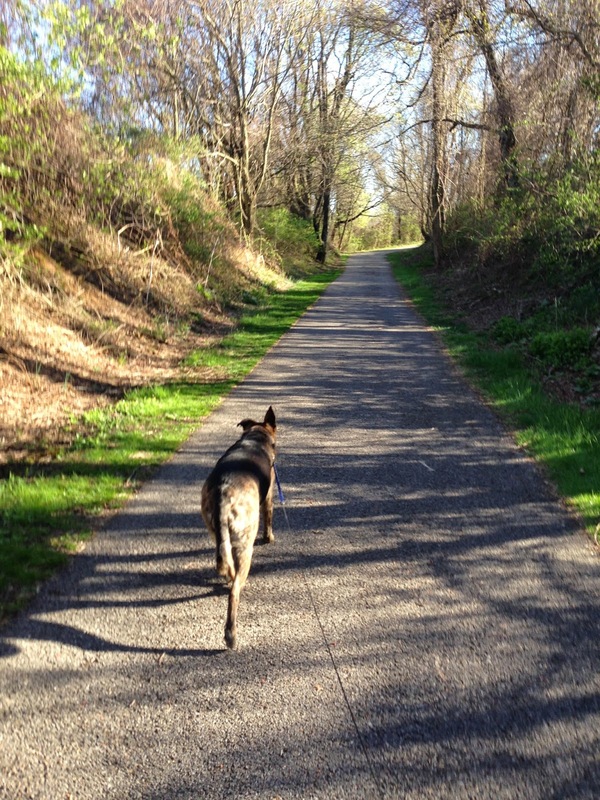 Trixie on the Huckleberry Trail. What a good pup!! 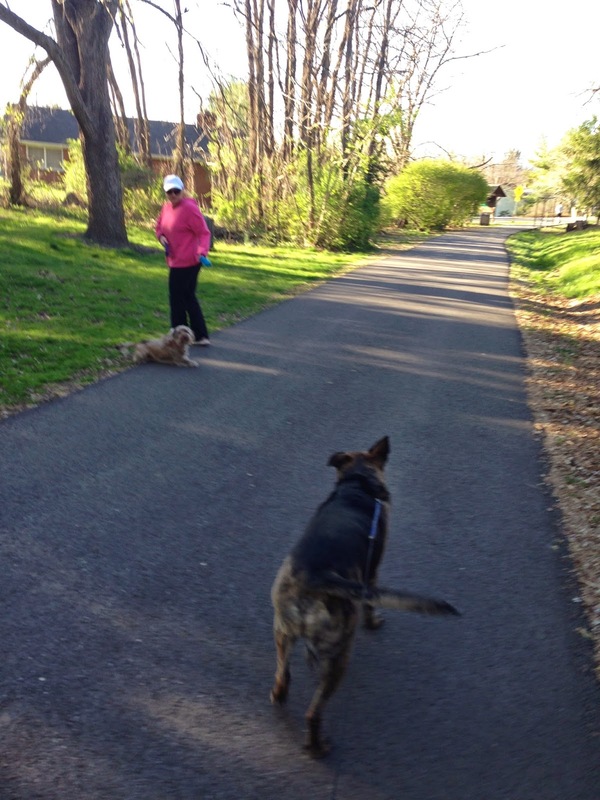 Zero squirrel lunging and such a good listener!! So how am I really feeling 16 days post-surgery? Better every day, but I see it will be a while before I am pain-free. I was allowed to remove all the steri-strips yesterday and the incisions themselves look good. Areas around the groin and abdomen incisions are still swollen and sore, but along with everything it's improving slowly. I can tell nerves were irritated/disturbed during surgery with some numb areas around the incisions and I'm semi-numb on my outer quad with some odd pulling sensations around the thigh incisions (adhesions?). I know it all needs time to settle down and work itself out. The good news is I'm not noticing any of the symptoms I used to have. My energy is rebounding pretty well too; I think the narcolepsy and uncontrollable napping have passed! In the meantime I will just keep moving and walking, per Dr. Davidson's instructions. I'm getting restless for a bit more, so that must be a good sign. Where every you are in your training, whatever your speed, whatever your situation, make the most of it and enjoy it! !